Fastest Bowler In The World? 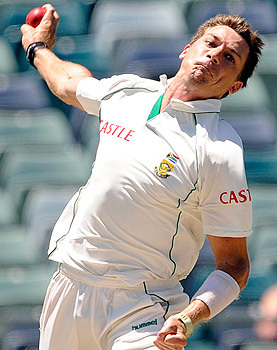 Brett Lee Or Dale Steyn? Brett Lee at his peak was more faster than Steyn.ATM It's Steyn...But In terms of consistency, I would say Brett Lee, was the fastest bowler in the world. Dale steyn...he can give 150 km/h balls in a test match consistently!! 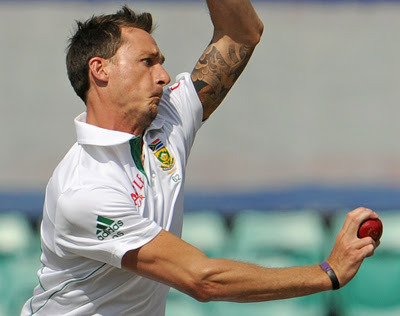 Dale steyn show why he is the no1 bowler in the world? AB de Villiers is No. 1 Test batsman in ICC rankings. Amla No. 2. Dale Steyn and Vernon Philander Nos. 1 and 2 in bowling. South africans Everwhere..